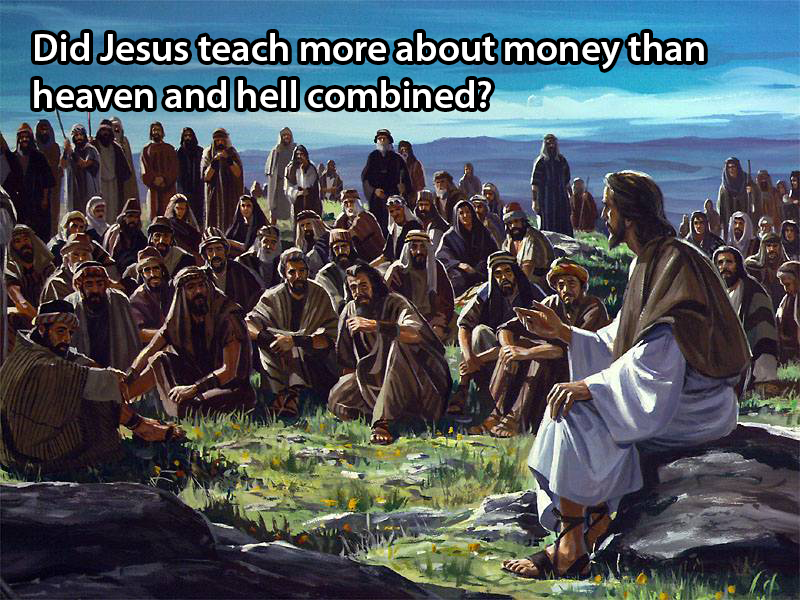 Did Jesus Teach More About Money Than Heaven and Hell Combined? There is a popular statement that many pastors are telling their congregations now-a-days, but if you take the time to fact check this statement you will find that it is patently false. That statement is, "Jesus taught more about money than heaven or hell combined." This statement is often passed along by pastors who are delivering sermons on money management or tithing and I took the time on the October 16th, 2014 episode of Fighting for the Faith to fact check this statement. Below, is the relevant portion of that episode of Fighting for the Faith. So, the next time you hear someone pass along the statement that Jesus taught more about money than heaven and hell combined, send them a link to this page so that they will know the truth and no longer pass along false information about Jesus.